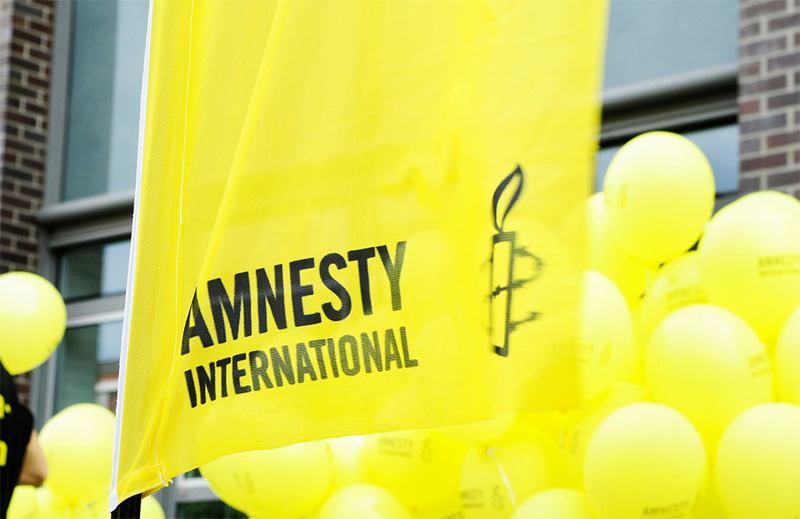 “The execution of Zeinab Sekaanvand is a sickening demonstration of the Iranian authorities’ disregard for the principles of juvenile justice and international human rights law. Zeinab was just 17 years old at the time of her arrest. Her execution is profoundly unjust and shows the Iranian authorities’ contempt for the right of children to life. The fact that her death sentence followed a grossly unfair trial makes her execution even more outrageous. “Zeinab Sekaanvand said that, soon after she was married at 15, she sought help many times from the authorities about her violent husband and alleged that her brother-in-law had raped her repeatedly. Instead of investigating these allegations, however, the authorities consistently ignored her and failed to provide her with any support as a victim of domestic and sexual violence. “After the murder of her husband, Zeinab Sekaanvand said she was interrogated under torture by male police officers without a lawyer present. During her final trial session, where she was allowed a lawyer for the first time, she retracted her earlier ‘confession’ that she had murdered her husband, saying that she had been coerced to make it. Despite this, the judge refused to order a further investigation and instead sentenced her to death. “It appears the Iranian authorities are increasingly scheduling the execution of people who were children at the time of the crime at very short notice to minimise the possibility of effective public and private interventions. We are horrified by their continuous use of the death penalty against people who were under the age of 18 at the time of the crime, which is a violation of international human rights law. This is the fifth execution of a juvenile offender that we have recorded this year and we fear that it will not be the last unless urgent action is taken by the international community. Zeinab Sekaanvand’s execution breaches Iran’s obligations under the International Covenant on Civil and Political Rights and the Convention on the Rights of the Child, both of which Iran has ratified, and both of which strictly prohibit the imposition of the death penalty on people under the age of 18 at the time of the crime. Zeinab Sekaanvand was moved out of her cell on 1 October and taken to solitary confinement in preparation for her execution. On 29 September, she was taken to the prison’s medical clinic where staff performed a pregnancy test on her. The test result came back as negative on 30 September. Subsequently, Zeinab Sekaanvand’s family were contacted by prison authorities and told to go to the prison on 1 October for a final visit, when they were informed that she was scheduled for execution on 2 October. Zeinab Sekaanvand was sentenced to death under qesas (retribution in kind) in October 2014 after a grossly unfair trial before a criminal court in West Azerbaijan province, which convicted her of the murder of her husband. She was arrested in February 2012 at a police station where she “confessed” to the murder of her husband. She was held in the police station for the next 20 days where she said she was tortured by male police officers through beatings all over her body. She “confessed” that she stabbed her husband after he had subjected her to months of physical and verbal abuse and had refused her requests for divorce. She was only provided with a state-appointed lawyer at her final trial session, at which point she retracted her “confession”, telling the judge that her husband’s brother, whom she said had raped her several times, had committed the murder. She said that he told her that, if she accepted responsibility, he would pardon her (under Islamic law, murder victims’ relatives have the power to pardon the offender and accept financial compensation instead). The court failed to investigate Zeinab Sekaanvand’s statements and, instead, relied on “confessions” she had made without a lawyer present to issue a death sentence. Although she was under 18 years old at the time of the crime, the court did not even apply the juvenile sentencing provisions of Iran’s own 2013 Islamic Penal Code, which gives judges the discretion to replace the death penalty with an alternative punishment if they determine that the juvenile offender did not understand the nature of the crime or its consequences, or that there were doubts about his or her “mental growth and maturity” at the time of the crime. Zeinab Sekaanvand came from a poor and conservative family and ran away from home when she was 15 years old to marry Hossein Sarmadi, who was four years older than her. She said that she saw her marriage to Hossein Sarmadi as the only opportunity she had for a better life. However, not long after the couple were married, she said her husband started abusing her verbally and physically, beating her regularly. She requested a divorce from him several times, but he refused. She registered many complaints with the police about the abuse, but the police consistently failed to conduct any investigation into her complaints. She also tried to return to her family but was disowned by them after she ran away.